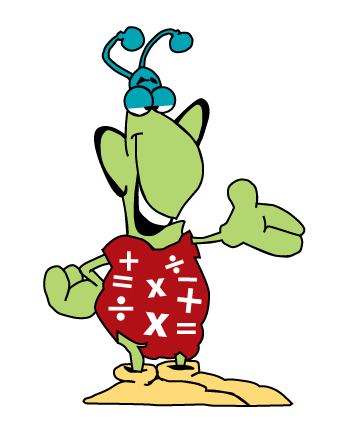 Miki Maths – maths made fun! Children should learn Mathematics from a young age. Did you know that young children are most receptive to taking in new ideas and to develop their ability to do Mathematics? It is NOW where the foundation for future success is built. Educationalists believe that the majority of your child’s ability to learn will have been formed by the age of ten. Most problems that children develop with Mathematics in later years can usually be traced back to deficiencies in their foundation. what is miki maths magic? Miki Maths Magic is a structured programme that helps young children, aged 3 – 12 to develop a rich understanding of essential mathematical concepts. The programme is generally offered through lessons at schools and centres. New concepts are developed gradually, over a long period of time. All three levels of understanding are included in each lesson: using concrete materials, worksheets (abstract) and language development. 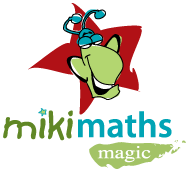 Miki Maths Magic provides an opportunity for children to learn Mathematics in smaller groups. Children learn best when they are enjoying what they are doing. Our goal is for children to develop a love of mathematics. In Miki Maths we teach children effective strategies to do the different number operations. We use the methods that children already know and develop their skills from there. Manipulating concrete materials develops conceptual understanding of the subject matter. Confidence in attempting to solve problems is very important in maths. We create an environment where children are comfortable formulating their own solutions & methods.